Grande ferme récemment rénovée sur cinq hectares à louer à Cable Head West (7 km au nord-ouest de St. Peter's Bay sur la rive nord, à 50 km de l'aéroport de Charlottetown). Courte promenade à des miles et des miles de plage de sable. Veuillez noter que les chevaux ne sont pas toujours sur la propriété. Les taux sont en $ CDN. 3000 $ par semaine plus le dépôt de garantie remboursable. Une semaine minimum (samedi à samedi). Terrains de tennis communs, barbecue à gaz, terrasse spacieuse, grande pelouse, laveuse et sécheuse, internet, grande collection de DVD, foyer au gaz. À 5 minutes du parc national de Greenwich, à 5 minutes du sentier de la Confédération pour le vélo ou la marche, à 20 minutes des meilleurs terrains de golf de l'île (Links of Crowbush Cove, Dundarave, Brudenell). Paddocks à cheval sur la propriété. Plateau à cheval disponible moyennant des frais supplémentaires. Veuillez noter qu'il n'y a pas toujours des chevaux sur la propriété. Désolé de ne pas fumer. Parish House is charming, spacious, clean, up to date and well appointed. Our three-generation family—6 adults, 2 young children, 2 dogs—stayed for 2 weeks. The owners thought of everything, and the kitchen, sitting areas, bathrooms and bedrooms were comfortable and well thought out. Plenty of space to spread out. The nearby beach is lovely (and quiet) and the tennis court a treat. 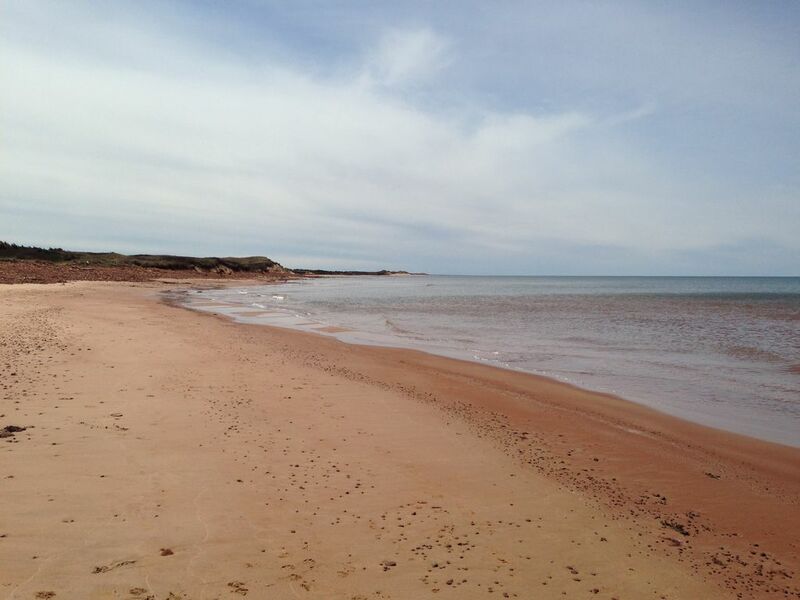 St. Peter's Bay is special--we can see why it's a favourite destination for visitors. Thank you, Deb, for making us feel at home. We came away with so many wonderful memories, thanks to your beautiful house. Thanks for your kind words, Beckie and Michael. I'm so glad that you enjoyed your time at the Parish House. Deborah is a wonderful host, willing to do whatever you need to make your stay just right. The house is very comfortable and felt like "our" home from the first minute. Some want to know this information so I will share. There are about 7 steps to access the main floor. That might pose a problem if you have an elderly parent traveling with you. If that isn't a problem, there is a first floor bedroom with bathroom that works well for a parent. All other bedrooms are upstairs. There is plenty of space in each of 3 upstairs bedrooms (Deborah mentions another extra, but small room, but it works great for kids or a single adult). There is an office area that worked well for me as a business person who never really gets to be completely away from the office. There is AC upstairs but unless it is really hot, enjoy the pleasant breeze that blows through the house 24/7. The kitchen is well furnished and great for cooking. If your family is large, there is plenty of room for seating everyone. The deck on 2 sides of the house is quite large and comfortable. You look over the field where the horses stay and over the tennis court area. The horses are drawn to people and at night will quietly sneak up on you and make their deep horse sounds when it is pitch black outside. Once you recover from the startle, you'll laugh. We saw a red fox, smelled a skunk and enjoyed several species of birds from the property. Cell service is quite limited (Verizon, T-Mobile) around the house, but Wifi calling works well. We certainly recommend Deborah's place to anyone. Go and enjoy the peace and quiet. And be certain to step outside at night and view a really dark sky - great for astrophotography if you are into that - but remember the warning about the horses! Hi Bill - thanks for taking the time to leave such a detailed review. It was a pleasure to meet you and your family. I’m glad that you enjoyed your stay! thoroughly enjoyed our stay at the Parish House We spent much time exploring the beach area and got lots of use from the Tennis court and bikes. Kitchen was well equipped and the house was so comfortable esp the beds. overall a great place to be and very hard to leave would highly recommend this wonderful place. Phenomenal and relaxing family stay! After much research on where to stay on PEI and then scouring numerous listing, we decided to stay at the Parish House. What a great choice we made! Our family of four (mom, dad, with 2 kids in tow - boy and girl, both under 8) had plenty of room to spread out inside and outside of the home. The kids enjoyed "playing" tennis and seeing the horse each day. We did run into one issue when the refrigerator stopped working, but we were able to get in touch with the owners who sent their handyman out immediately. He was able to solve the problem and we didn't have to move any food. The house was in a great location to go see the Eastern part of PEI as well as Charlottetown. The beach was incredible and we had a blast taking walks and looking for sea glass. This is definitely a place worth recommending! as soon as we arrived we were relaxed - everything about Parish House is so welcoming. A perfect getaway.